What's a "Project to Go"? A “Project to Go” is just like attending one of my classes, but in your own home whenever it is convenient for you online. 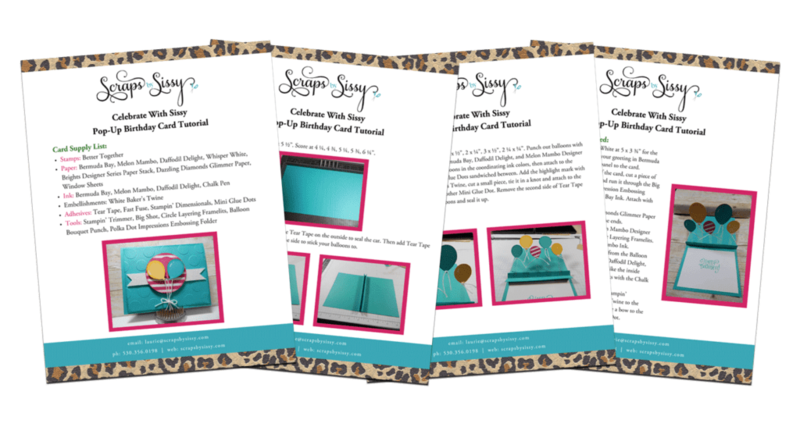 I will show you how to create 1-3 items, such as a card, 3-D item or home decor, in the comfort of your home with a video and a step-by-step tutorial that you can print out to follow. You can choose to purchase the full packet with all the materials to complete the projects with the video, just the stamps to create the projects with your own materials and the video, or just the video. You choose what works best for you. How do I host a party and can it be done virtually? Contact me through my link and we will plan your party to fit your schedule. You invite your friends and I will bring the fun. It can be done virtually through Facebook or on your computer. We will discuss which option is best for you. Whatever you want! When you click on the “Join the Fun” tab at my online store, you can purchase up to $125.00 worth of product for just $99.00 plus tax and FREE shipping and become a member of the Stampin’ Up! family. The Starter Kit is the best deal available to anyone at any time. What are the benefits of joining Stampin' Up!? First and foremost is the discount for all your future purchases of Stampin’ Up! products. Then you get to enjoy being the first to see new catalogs and pre-order new product before anyone else. You can join just for the discount or you can join to start your own business. Whichever you choose, it is all up to you. I purchased the Starter Kit, now what? When you purchase the Starter Kit you will become a member of my team and I am there to help you no matter with any and all questions. I help my team members with any and all training to run their businesses or just get together and stamp! Laurie spends her days working in her craft room creating the next best Stampin’ Up! projects. She typically works (if you can even call it that!) Monday – Friday anywhere between 10am and 4pm PST. She holds her local classes and workshops between 3-6 times each month. If you’re looking to attend one, host your own, or to just connect with Laurie, you can find her at any of the social media playgrounds below!